The Pitkin Avenue Business Improvement District (BID) is comprised of 16 vibrant shopping blocks in the heart of commercial Brownsville. 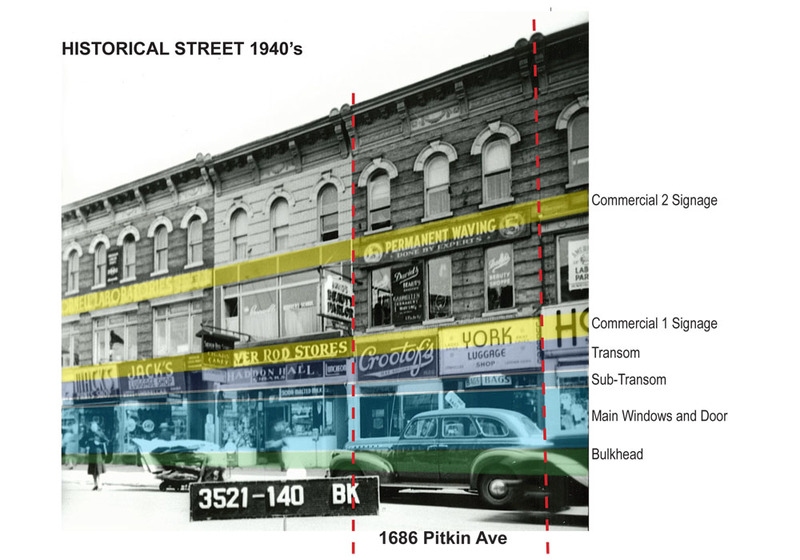 The BID administers the Renaissance Program which provides matching grants to businesses on Pitkin Avenue to help finance improvements to building facades and storefronts. Funding for the Renaissance Program comes from the State of New York’s Main Street Program. 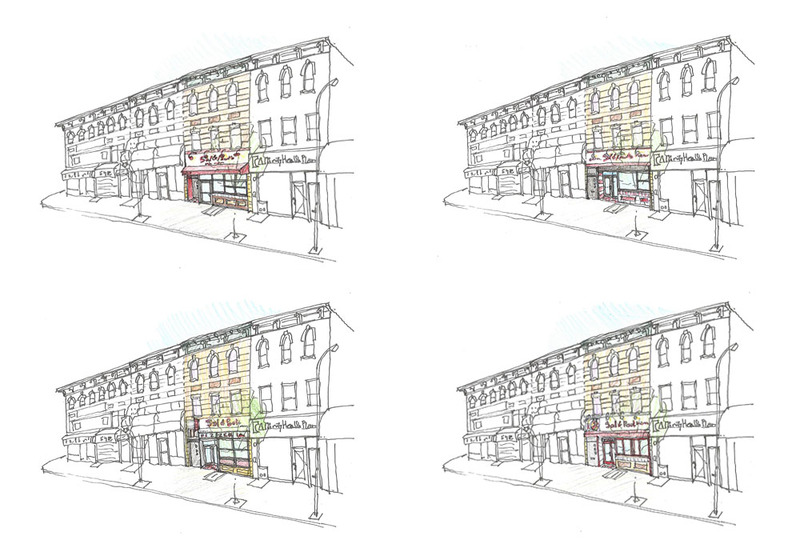 Working with the building owners and the BID, Heim Architect has completed the design for three facade improvement projects. In each case, the storefront, signage, lighting and entries are being enhanced while the previously concealed or neglected two stories of masonry above are being restored. The results dramatically improveme the quality of the street and hopefully will inspire more property owners to undertake similar restorations.